MADRID (Reuters) - Spanish Prime Minister Pedro Sanchez, who faces a national election in two weeks' time, has said he will act with "strength and proportion" against any attempt by Catalan separatists to repeat their 2017 independence bid. Catalonia's failed attempt to secede from Spain and Madrid's approach to the region has become the defining issue ahead of the April 28 election, in which polls show a coalition of right-wing, unionist parties could seize a majority in parliament. "If we see the laws of the constitution or the Statute of Autonomy in Catalonia broken once more, the state of law led by this government will act with strength and proportion against any challenge," Sanchez said in an interview published in Hoy newspaper. "It's an article of the constitution. And we are a government that is going to apply the constitution and make sure it is followed throughout the country," Sanchez said when asked if he would use the Article 155 law. While the conflict has eased since the height of the secession crisis, Catalonia's demand for an independence referendum that Madrid has againt ruled out has vexed further attempts at a resolution. 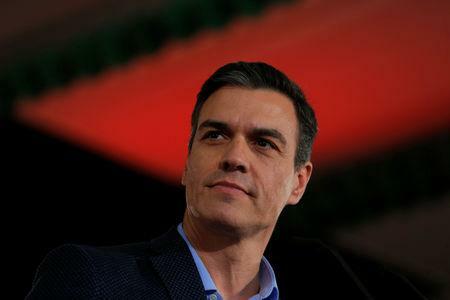 Spanish unionist parties, including the relatively new far-right part Vox, have campaigned on fervent opposition to Catalan independence and criticised Sanchez's attempts to re-establish dialogue with separatists.